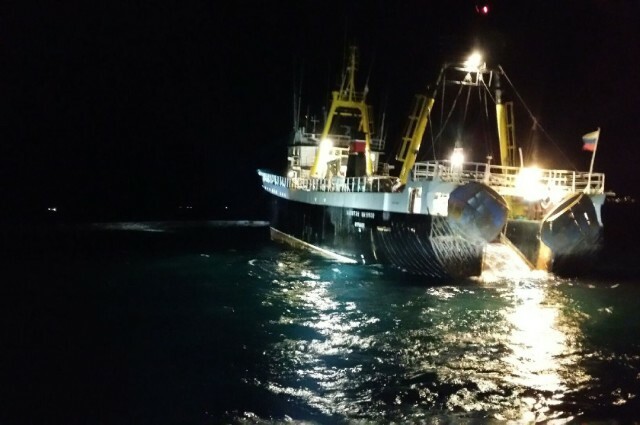 The 60 meter long fishing vessel Kapitan Naumov ran aground near Tønsnes, Norway. The Kapitan Naumov was bound for Eemshaven when it ran up onto a reef. Authorities were notified that vessel was aground and dispatched a police patrol boat to the scene. The police found the master of the Kapitan Naumov was under the influence of alcohol and was detained. The Kapitan Naumov was later refloated and proceeded under its own power to Breivika. No reports of damage or pollution released.